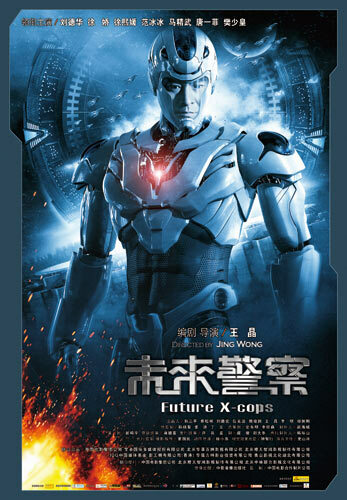 Recently an article penned by “Min Lee” titled “Andy Lau anticipate more science fiction Chinese film” was published in Los Angeles Times, the article focus on Future X-cops which is currently being screened in Mainland China, it pointed out the appearance of Future X-cops among kung-fu and historical films is very meaningful as it break new grounds for Chinese films. The article used the words said by Andy to explain “break new ground” meaning, Andy expressed: “I admitted that we took a step when we produce this science fiction film, hope that more people would try such films, also hope that our abilities and technologies could improve and get close to the standard of Western films.” the article also narrates Andy’s exclusive charisma, his charisma remains despite announced his marriage, the fans are still excited and cheered for him. Being one of the three largest newspaper in America, Los Angeles Times has huge influential and believing effect, which such praises for “Mainland China first science fiction film”, Future X-cops had caught attention of the American’s media. For all we know, Chinese films are famous for their wuxia and kungfu films, even Hollywood could not get near our standard, whereas science fiction films are the secret weapon of Hollywood to capture the world’s market. With Future X-cops take up the challenge of science fiction film, took 5 years to prepare and 3 years to produce, an investment of $150 million, gathering of film makers from Hong Kong, Mainland China and Taiwan, the special effects team of Dark Knight, Lord of the Ring and The Host, BMW, Apple and other international brands to sponsor the film, it clearly shows the production standards and new beginning to bring new developments to Chinese science fiction film. It is said that after Future X-cops opened in the cinema on 30 March, it’s box office taking is only second to Hollywood 3D film Alice’s Adventures in Wonderland. Its special effects and entertainment won the support of the audience, it had already won interest from overseas film distributors. Currently this film is entering the international market as it is screened in Singapore, Malaysia, Thailand, Japan, Korea and other Asian countries, it is also discussing on being screened in America. Future X-cops will display to the world a production of hardwork and effort.